Colin Sexstone has left Plymouth Argyle's board of directors due to an ongoing illness with his wife. The 67-year-old had been a non-executive director since November 2012 but can no longer balance caring for his wife with his duties at Argyle. 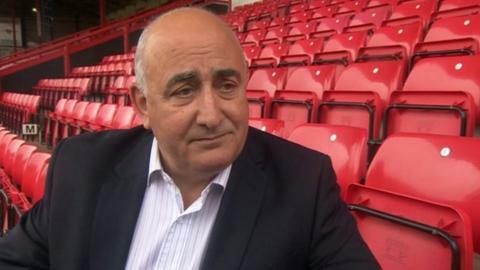 Sexstone had previously been chairman of Bristol City and chief executive at Gloucestershire County Cricket Club. "I want to thank Colin for the contribution that he's made over the last few years," Brent told BBC Sport. "His contribution was as the professional sport specialist, but he brought much more in terms of his thoughts on the planned new grandstand and the commercial aspects of the club."